I couldn't believe it when one of the persons on my most recent Black Paris after WWII tour told me that the Musée Dapper is closing definitively - next month! As soon as I got home, I went to the Internet to look for the press release she said the museum had published. What I found was a dozen articles by Le Monde, France 24, Le Figaro, and other Francophone media outlets reporting this news. Hoping against hope, I called the museum. They confirmed it. 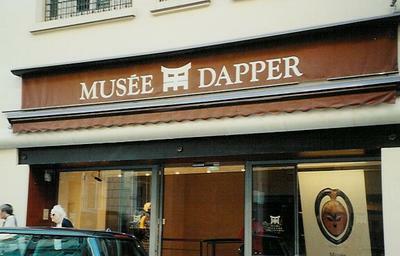 A private institution, the Dapper has been in full-fledged competition with the Musée du quai Branly Jacques Chirac since the latter museum opened in 2006. As one of the articles about the closure points out, the quai Branly has a gigantic budget that the Dapper cannot begin to match. This, coupled with the success of recent major exhibitions of African art hosted by venues such as the Fondation Cartier and the Fondation Louis Vuitton, has resulted in fewer visitors for the Dapper. So it is for financial reasons that the museum will close its doors for good on Sunday, June 18. Co-founder and director Christiane Falgayrettes-Leveau will sell the building at 35 bis, rue Paul Valéry in the 16th arrondissement. But the Dapper will live on through temporary exhibitions of its extraordinary collection in Africa and the Caribbean. 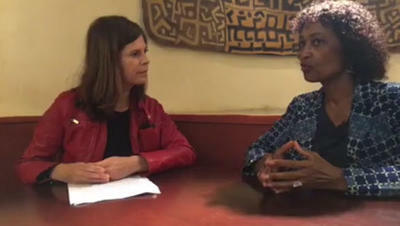 Those who understand spoken French may wish to watch an interview that Falgayrettes-Leveau gave to Le Monde Afrique correspondent Estelle Odéma by clicking HERE (interview dated 24 May 2017). 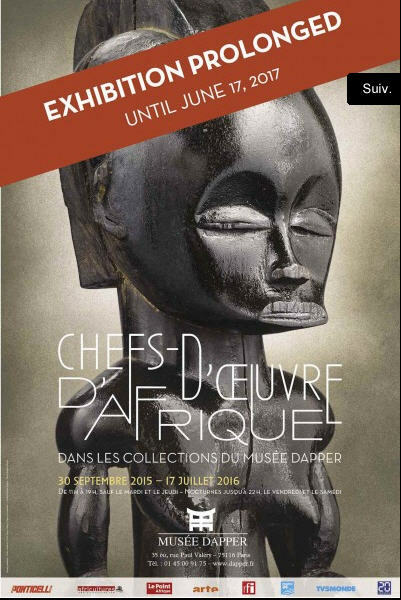 The current exhibition at the Dapper - Chefs-d'oeuvre d'Afrique - will be on display through June 18 (not June 17 as indicated on the flier below). I saw this show months ago and highly recommend it. So if you haven't seen it yet, NOW is the time!